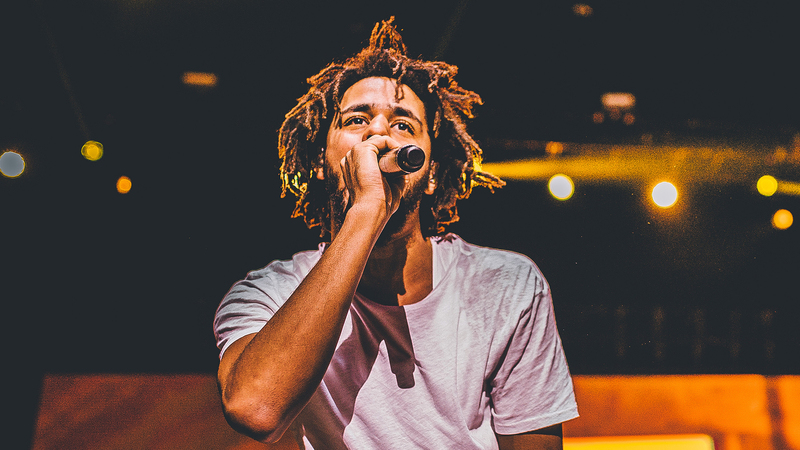 If you were as obsessed with J. Cole's 2016 release as we were, we come bearing good news—the North Carolina-bred rapper will be bringing 4 Your Eyez Only to a city near you this year. Announced today, the esteemed emcee will be embarking on a massive world tour boasting 57 stops across three continents over the course of six months (and you thought you had a busy 2017 ahead). The LP, released in December, marked a ton of huge accomplishments for the Grammy-nominated artist. Not only did it establish him as one of only three rappers (besides Drake and DMX) to have all four of their first albums reach No. 1 on the Billboard charts, it also was his first release in partnership with a major label (Interscope). Kicking off in Columbia on June 1, the tour in support of 4 Your Eyez Only will hit major cities in North America, Europe, and Australia before ending in Perth on December 9. Commence the countdown until we can hear "Neighbors", "Immortal" and "Deja Vu" live. Tickets to this lengthy run will be going on sale to the public this Friday, February 24 on his website, and presale will be available in select markets today through February 23. Check out all the dates below, and don't forget to Track him on Bandsintown in case he adds any more shows!